Jams, jellies, sauces, salsa––put them in identical jars and group them together, and it will be difficult to tell which is which. If you want to play food roulette, that's all you. But if you have guests, they might not appreciate a salsa and peanut butter sandwich. Make sure your guests stay happy. 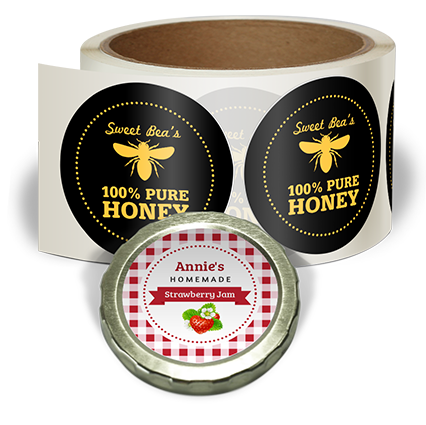 Jar lid labels help clear the confusion and save you time from pulling all the jars out of your cabinets and sorting through them. You can even print labels in different colors, so you can tell next time which jar has the salsa in it. If you still want to play food roulette, maybe you could start practicing sandwich making with your eyes closed.